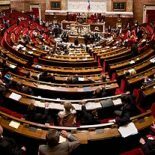 French citizens will today (June 11) vote in the first of two rounds of voting to elect the members of the Assemblée Nationale, the French national parliament. After the extraordinary victory of newcomer Emmanuel Macron in the presidential election a few weeks ago, an even more extraordinary result is about to unfold. Macron’s movement has rapidly transformed into an electoral political party, Le République En Marche (REM). Describing themselves as ‘neither left not right’, they are running candidates in all but a handful of the 577 Assemblée single-member electoral districts. Over half their candidates are political newcomers. They have accepted some former parliamentarians through a deal with the centrist Democratic Movement party (MoDem). REM is also taking on board some candidates who were politicians in Macron’s former home, the Socialist Party. Also in the field will be the established centre-right party, Le Republicans, and the far-right Front National (National Front, or FN). To the left the Socialist Party remains present, but has clearly lost a lot of support to REM. The left-wing La France insoumise (FI) party may also win substantial support, after its candidate Jean-Luc Mélenchon won 19% at the recent presidential vote. The Assemblée seats are filled through a two-round voting system, but it is crucial to note that it is not a top-two voting system. Many of the world’s national presidential elections, and also some US elections, follow the top-two rule, where only the highest-placed two candidates from the first round of voting contest the second and final round. In the Assemblée system round one is a more of a general elimination round. The rule is that all candidates who win 12.5% of the registered voters can go on the the final round. In the second round, even if there are three or more candidates, the seat is won by a plurality, just as in first-past-the-post voting. As the French say, in round one they eliminate, in round two they select. The second round of voting follows the first just a week later, on Sunday June 18. If the first round vote is highly divided and turnout low, it is possible that only one candidate will clear the threshold (or even conceivably none), in which case the top two candidates are admitted to the final round anyway. Alternatively, if one candidate exceeds 50% of the vote on the first round, they win the seat outright and there is no second round vote for that district. In the last elections in 2015, 62 candidates won outright this way. In 2017, how many achieve outright first round wins is difficult to predict. During much of last 70 years, when France had a more stable two-major-party culture, the voting system typically led to the simple result that the candidates of the Socialist party and the centre-right party (which underwent some name changing and evolution) would have the second round of voting to themselves. There were fairly frequent third candidates in second rounds, but in a some cases arrangements were made between friendly parties for strategic candidate withdrawals between the two rounds. Doing this assisted both parties to maximize their final numbers in the Assemblée. But now things are different, and President Macron’s REM may be the massive winner. REM is, at least officially, a centrist party. So if only two candidates meet the threshold, and REM is one of them, then either the left or right main candidate has been eliminated, meaning that REM’s candidate should win solidly by picking up grudging voter support from the side without a candidate in the final round. Where REM has two opponents in the final round, and they are two left or two right, the other two will would divide the vote from their supporters of their ‘side’ of politics, clearing the way for an even larger REM plurality or majority. Even if there is a politically diverse range of 3 (or even 4) second round qualifiers, REM candidates generally look likely to be the most popular, and therefore win with a plurality of the vote. The option for organised tactical withdrawals is undermined this election by the fact that the other major parties all loath one another. Polls indicate that newly founded REM has been attracting 30-31% voter support steadily for some weeks, driven by Macron-enthusiasm as well as a hard-nosed calculation that the President should have a parliament that he can work with to govern the country. On the right the Republicans are holding at 20-22% in the polls, with the National Front on 17%. National Front support is however quite concentrated in regions to the country’s north-east, east and south, so their vote there should be a good deal higher. On the left FI are polling steady at 12%, while the once-great Socialists are at just 7-8%. Actual results for these two should also be geographically scattered around these means, and both will do better in urban areas. Polling in France, unlike in many other countries, has a reputation for proving to be very accurate. All of these apparent vote shares must be understood against a background of French voter turnouts of around 70%, but often a little softer in the first round of voting. The task in the first round is simply to clear the 12.5%-of-registrations threshold, not necessarily to outdo all rivals. If REM candidates clear the threshold almost everywhere, and then need to face an inconsistent and geographically scattered array of Republicans, Socialists, FN and FI candidates, together with a few others, the advantages for REM are enormous. For this reason, recent seat forecasts for REM predict between 350 and 425 wins. Not since mid-May has any forecaster indicated that, even on their worst projections, REM would fail to reach the 289 seats needed for a parliamentary majority. So President Macron’s party is in the box seat for a big win. Many observers welcome the looming massive rejuvenation of the French parliamentary system. But as an electoral result, there is reason to pause and reflect on what may be about to happen. The highly unusual circumstances of this election may well mean that a party with 31% real support in the electorate wins up to 80% of the seats in parliament. This would make the 2017 French election among the most extreme electoral outcomes in a major democracy for many years. It will mean that around 70% of French voters, and up to 80% of the registered electorate, would not have a national parliamentarian they would truly prefer to represent them. And as in all single-member division systems, the relative influence of each voter would be highly fragmented around the nation. Voting actually started a few days ago in the 11 overseas electoral districts. REM won over 50% of the vote in 10 of the 11, although very low turnout rates mean that second round elections will still take place. Full election results should be available through the French Interior Ministry election result page, which is wholly in French; in English the BBC will have extensive coverage. This entry was posted on June 11, 2017 by Malcolm Baalman in Current issues, France, Two-round runoff.